Aliko Dangote, Africa's richest man, is among those considering counteroffers for PPC that could signal a bidding contest for South Africa's largest cement maker, according to people familiar with the matter. 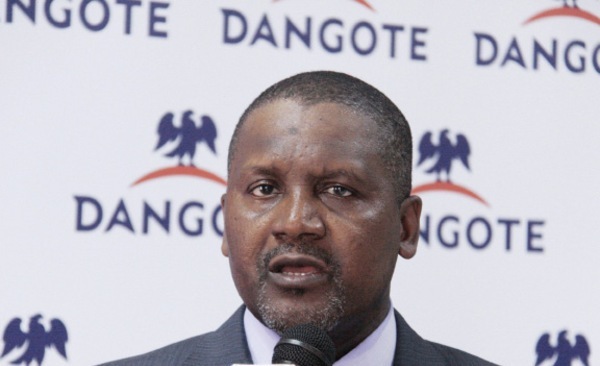 Dangote Cement sees a bid for the Johannesburg-based company as a way to accelerate expansion outside its home market of Nigeria, said the people, who asked not to be named as the matter is private. PPC will consider any rival offers to the joint approach by Canada's Fairfax Financial and domestic rival AfriSam and present them to shareholders in early October, one of the people said. PPC shares jumped 2.3% to R6.34 as of 12:11 in Johannesburg, the highest level since May 2. That values the company at R10bn. LafargeHolcim, the world's biggest cement maker based in Jona, Switzerland, and Germany's HeidelbergCement are also monitoring PPC's situation, the people said. Titan Cement SA of Greece is looking at the South African company, according to one of the people. The cement makers' interest was sparked after Toronto-based Fairfax offered to buy R2bn of PPC's shares and support a merger with AfriSam earlier this week, the people said. The proposal "significantly undervalued” the business, PPC said at the time. A spokesperson for Dangote didn't comment. Spokespeople for LafargeHolcim, HeidelbergCement, Titan, Fairfax and PPC declined to comment. The future ownership of PPC is up for grabs after merger talks with AfriSam failed for a second time last month following two-and-a-half years of on-off negotiations. Both companies have been struggling with high debt levels, which Fairfax offered to resolve with its unexpected entrance to the saga this week. The Toronto-based company said it would recapitalise AfriSam, enabling it to settle outstanding loans, and buy R2bn worth of PPC shares at R5.75 each. PPC's current share price of R6.34 suggests investors expect a higher offer to emerge. The Fairfax proposal would give the Canadian company a stake of more than 30% stake in the combined entity, said two of the people. The value of the bid would rise when savings generated by sharing PPC and AfriSam infrastructure are taken into account, they said. The Public Investment Corp, the biggest shareholder in both PPC and AfriSam, would prefer a higher cash component of more than R6 a share, the people said, adding that Fairfax hasn't ruled out increasing its offer. Dangote has been expanding out of Nigeria, its biggest market, and has operations in 14 other African countries. Aliko Dangote, who also has interests in sugar, flour and packaged food businesses, has a net worth of $11.4bn, according to the Bloomberg Billionaires Index. Dangote would be open to a sale of all or part of its Pretoria-based Sephaku unit to win regulatory approval for a takeover, two of the people said. Separately, PPC said it had reduced capital expenditure targets for fiscal years 2018 and 2019. The company sees spending of as much as R900m in year through March 2018, rising to as much as R1bn the following year, PPC said in a presentation to investors on Friday. The cement maker also said debt would probably fall in the current year.